Dr. Kachinskas is focused on integrating and balancing both conventional and complementary approaches to good health. She spent her research career studying the causes of cancer and now spends her medical career finding ways to prevent it. She specializes in women’s health issues such as menopause as well as metabolic disorders, chronic illness, cancer prevention and cancer survivor care. Dr. Kachinskas graduated from the University of California with a Ph.D. in Molecular Pharmacology and Toxicology and from Bastyr University as a Doctor of Naturopathic Medicine. Her residencies include Seattle Cancer Care Alliance and Swedish Breast Center and she completed postdoctoral fellowships at the University of California, Berkeley and Davis. Dr. Kachinskas draws on her extensive education, training and clinical experience to provide primary healthcare as well as coordinate any specialty care you may require. She can consult with you and your existing medical team as an expert on alternative medicine treatments and therapy and how they might be integrated into your current care as well as evaluating any potential interactions between prescription medications and herbs or supplements. She is also trained in the interpretation of genetic analysis using systems from Pure Genomics, Nutrigenomics, and Genesight, allowing her to make individualized clinical recommendations for nutrition, supplements, weight loss and physical training based on the analysis of personal genetics. Genesight provides guidance in the selection of some classes of prescription drugs such as anti-depressants. Dr. Kachinskas believes in treating the individual as a whole and not just a set of symptoms. Her goal is to provide high quality medical care and to prevent and treat disease by integrating the best of conventional and alternative medicine therapies. 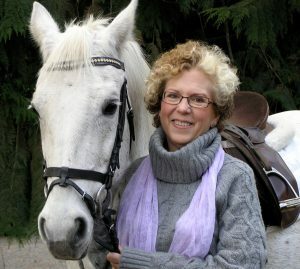 Her approach to healing is founded on a fundamental belief in the natural wisdom and healing power of the body and the interconnectedness of life. And yes, she does love animals! To book an appointment or to learn more about Dr. Kachinskas and her practice, please visit her WEBSITE.